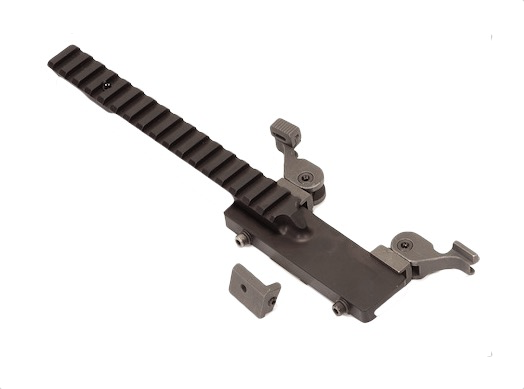 The M14DCSB (Detachable Cantilevered Sight Base) is specifically designed for use on Mil-Spec M1/M14 rifles that are installed in a SAGE EBR Chassis Stock System. It is machined from aircraft grade aluminum and features a steel stripper clip insert with stainless steel screws. Installation requires no modification to the rifle.